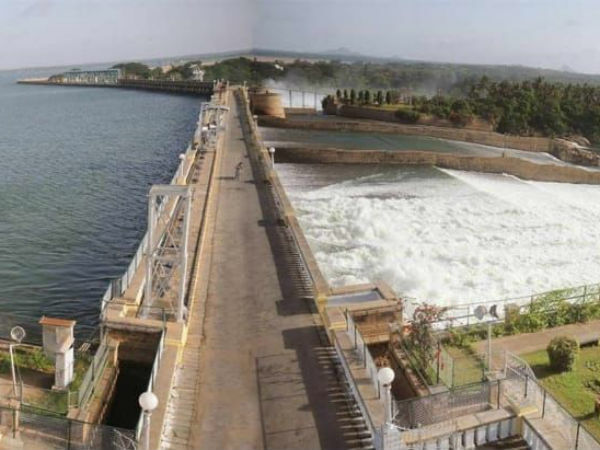 Water release from Mettur dam is hitting media headlines. Tamil Nadu Chief Minister Edappadi Palaniswami is in Salem and will be there when the shutters are opened on Thursday. Delta farmers are not jubilant, however. “It is best that the water is run into lakes, ponds, and other water bodies instead of allowing it to run in irrigation channels since it is too late to do kuruvai plantation. Instead if the water is allowed into water bodies, it can help in water percolation and recharge groundwater so sambha can benefit,” explains R. Baskaran another leading farmer from Kumbakonam. “This Mettur water is like a cat on the wall every year. I have sunk a borewell in my home but not in my field. My field has an open well and it goes dry during summer. The only comfort is the north-east monsoon but the well goes dry by May. Either it rains heavily and my crops get destroyed or drought hits us. This has been the situation in the last 55 years,” said K Velmurugan, a farmer from Lalgudi. Some three-fourth of delta farmers depend on Mettur water. Though they have several borewells in their fields, the cost of drawing water through them using diesel motor is quite high since a litre of diesel costs Rs 70 today and the motor needs to run a few hours daily to wet the fields. Moreover there are three types of soil in the delta region – clayey, loamy and loose sandy soil. Water retention in areas where clayey soil is predominant gets a better yield since paddy requires water retention in the fields. Some farmers dependent on borewell water exclusively for irrigation may go for kuruvai but for the vast majority kuruvai is only a dream.